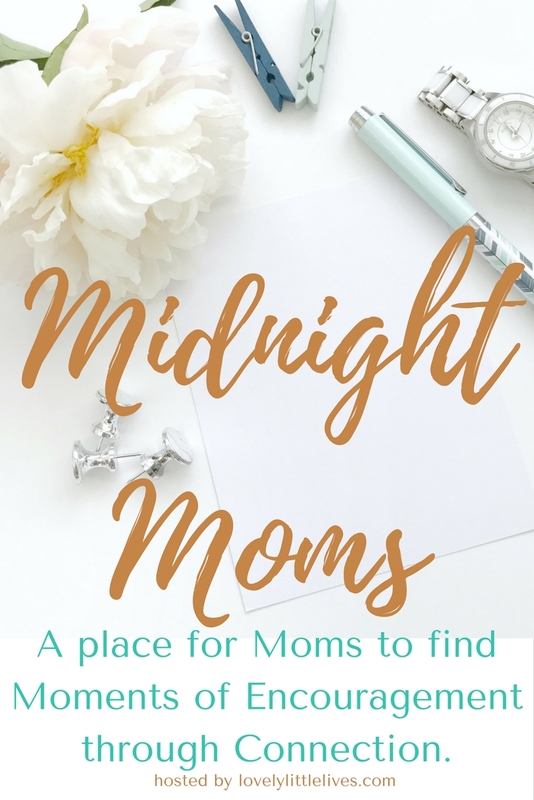 You are invited to the Midnight Moms Community! A place for moms to encourage one another and socialize online, share laughs, prayers, discouragements, and advice while inspiring each other during the daily beauty and nightly grind of motherhood. I started this blog as a way to share my motherhood experiences and to appreciate the little glimmers of loveliness in my everyday life. This group is an extension of that goal and I hope you will all join me in discovering ORDINARY LOVELINESS through the blessings, joys, and struggles of family life. Moms are who I have in mind when I write the majority of my posts because after all I am one and I’m floundering in the joyful and tumultuous sea of motherhood just as much as you. I would love for you to join me on this journey! Come join us and let’s live motherhood together 24/7! Please pin and spread the word to other moms!